The trial focused on limbal stem cell deficiency (LSCD), which can result from damage to eye from chemicals or heat, or be caused by a disease called aniridia. It leads to scarring and severe vision loss in both eyes as well as chronic pain and redness. LSCD is a significant cause of sight loss – especially in countries where resources and services are limited – but it does not typically respond to standard treatments. To carry out the trial, researchers – led by the University of Edinburgh and the Scottish National Blood Transfusion Service – isolated stem cells in the eye’s protective layer, known as the cornea. A normal healthy cornea is transparent, but becomes scarred and opaque when specialised stem cells are lost in LSCD. The team then grew the stem cells – which have the unique ability to transform into other cell types – into tissue ready to be transplanted. 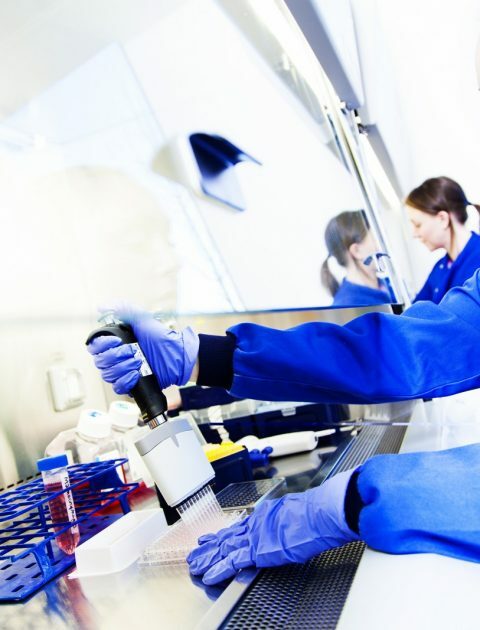 This is the first time that stem cells have been used in this way in a randomised clinical trial – the gold standard scientific method for testing a new treatment. Patients who had received the stem cells showed significant repair of their eyes’ ocular surface – the outermost layer – over 18 months, which was not seen in those who did not receive the treatment. Scientists have hailed the step as a landmark for cell-based surgery. They say it shows promise for repairing the eye’s surface, paving the way for similar donor trials to be planned. The project, published in STEM CELLS Translational Medicine was funded by UK Stem Cell Foundation, Scottish Enterprise and the Chief Scientist Office, part of Scottish Government Health Directorates. Baljean Dhillon, Professor of Clinical Ophthalmology at the University of Edinburgh’s Centre for Clinical Brain Sciences, who led the study, said: “The findings from this small study are very promising and show the potential for safe stem cell eye surgery as well as improvements in eye repair.